Projects that combine visual art, toys, decor, and everyday objects with technology. Custom display board and example artwork using Circuit Scribe modules and conductive gel pens. 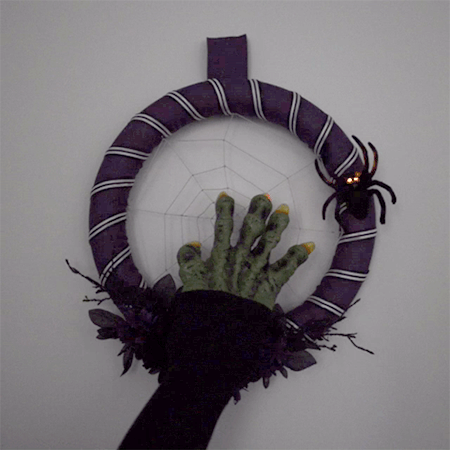 A web spun with conductive yarn reacts to touch and sends a signal to light up the spider's eyes. 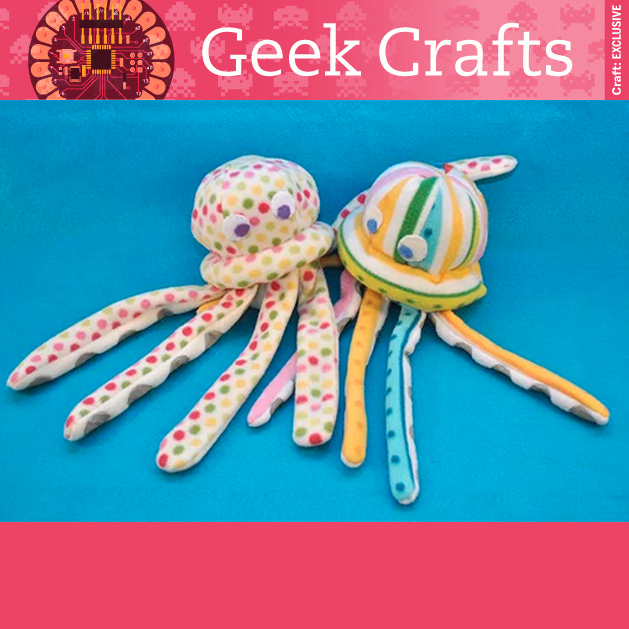 This plush puppet lets you make different squeaky sounds using an embedded Drawdio. This pattern uses LEDs as the string of lights on a felt Christmas tree appliqué. 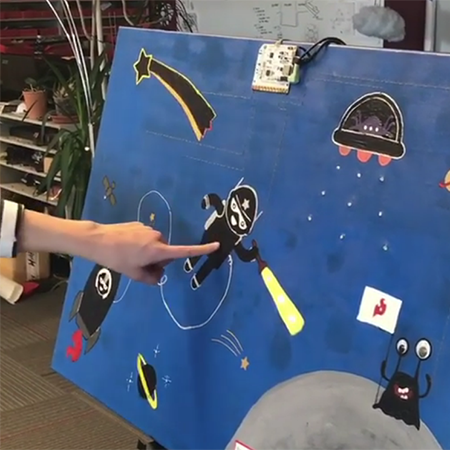 This space-themed painting uses Bare Conductive's Touch Board to create an interactive work of art. 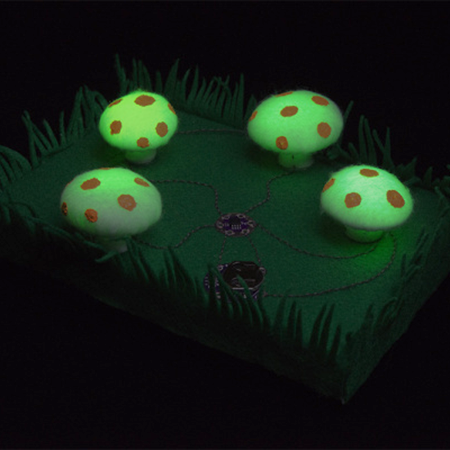 Plush mushroom patch using the LilyPad LilyTiny board and green LEDs. 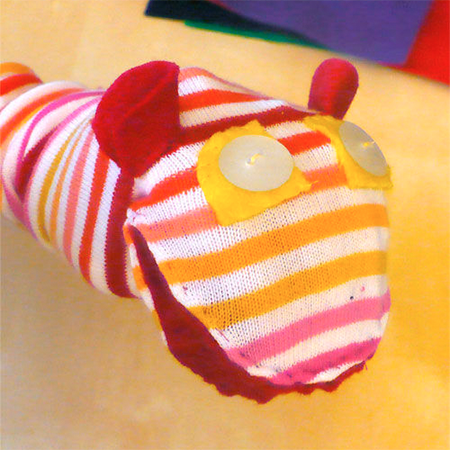 This sock puppet makes sound when you open its mouth using a repurposed musical greeting card. 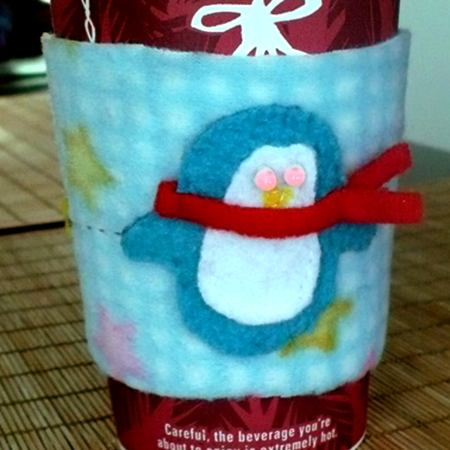 Light up tea sleeve alerts drinker that the beverage is too hot. Plush puppet that uses a MaKey MaKey board connected to control an virtual pineapple character. Light-up musical wall hanging with the LilyPad Development Board. 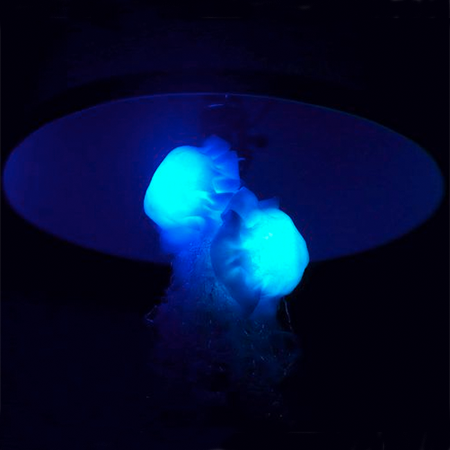 A jellyfish shaped casing for LED Throwies that you can stick to any metal surface.